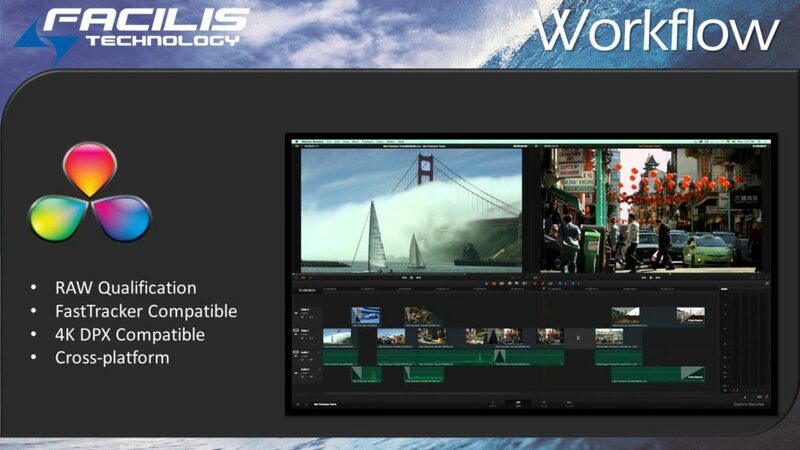 DaVinci Resolve from Blackmagic Design is a great color grading and conform tool for hundreds of Facilis customers. If you visit Facilis at a trade show, you'll likely see Resolve front and center showing off the high speed of client connectivity. Resolve makes the task of managing thousands of sequenced files easy, by searching through directory structures for sequenced files and automatically sorting by name at the import step. The speed of the playback engine is incredible on any OS platform, and the playback engine is fast enough for real-time 4K DPX. It's import/export tools make it a great addition to any workflow, and the accelerated renders produce the final product in no time.